1) Hemingway completed just one draft of True at First Light, and after his death it remained under lock and key for decades. Did these circumstances affect the way you read the book? 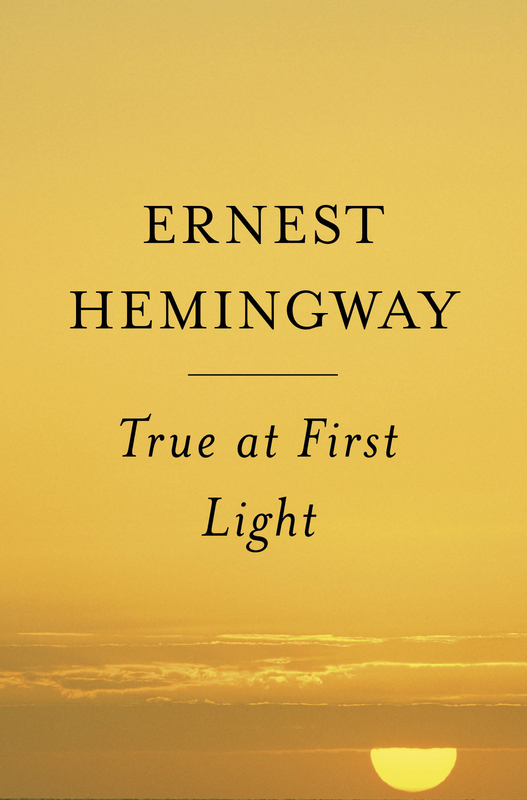 How should True at First Light be judged within Hemingway's complete canon of work? If he had finished writing and editing book himself, in what ways might it have been different? 2) Perhaps the most controversial aspect of True at First Light is Hemingway's purported "marriage" to Debba. Do you believe that this relationship is truthfully rendered, or one of the "fictionalized" elements of this memoir? Could Debba be an amalgamation of a few different women? A metaphor for Hemingway's love of Africa itself? 3) On the surface, Hemingway perpetuates the notion that he and Mary are very happy. They frequently take great pains to reassure one another that they are content. Are they trying to convince themselves they are still in love? If so, why? Is their bickering a sign that they are unhappy, or is this just the way they communicate? Discuss his assertion that "love is a terrible thing...[and] fidelity does not exist nor ever is implied except at the first marriage" (282). 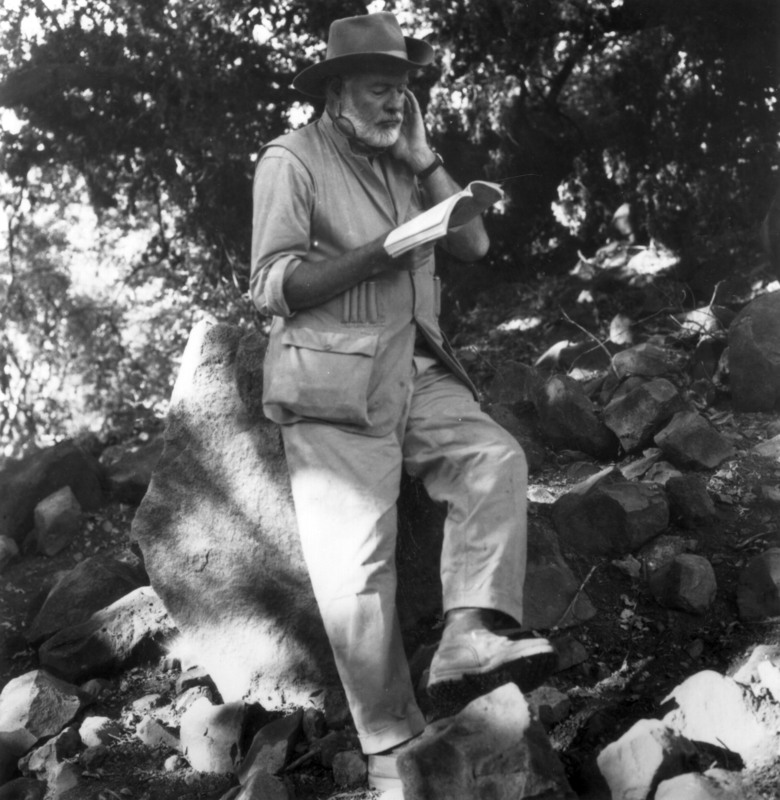 4) Hemingway often mocks the white man's presence in Africa, noting how many are willing to pay inflated prices for an authentic African hunt, and even joking that a Hilton should be built for the comfort of such people. Does Hemingway despise these casual hunters and the changes they bring to Africa? Does he realize that, in the eyes of many, he himself is one of those people? How does he feel about his own role as an outsider in Africa, and the impact of his own presence there? Does he become more aware of it as the novel progresses? 5) The Informer is one of the book's most interesting characters, universally despised by nearly everyone but Hemingway. Why is the author so charitable to the Informer? What does this character represent to Hemingway and to the others at camp? Is the information he gives Hemingway useful in any real way? Discuss Hemingway's observation that the Informer will "betray anyone betrayable" for money (38). 6) Hemingway says, "A writer of fiction is really a congenital liar who invents from his own knowledge or that of other men. I am a writer of fiction and so I am a liar too...I make the truth as I invent it truer than it would be" (100). In what way is HemingwayÕs fiction truer than real life? And if "the truth as [he] invents it is truer than it would be" then why does he call himself a liar? Is a writer of fiction ever obligated to tell the absolute truth? What does Hemingway mean when he says that "in Africa a thing is true at first light and a lie by noon?" 7) Hemingway refers to "having a conscience" about hunting. Is such a thing possible when you are hunting at least partly for sport? Is hunting more noble if you stick to the rules? 8) Reread Hemingway's description of the killing of Mary's lion (179), and the subsequent examination of his body. Does his rendering of the details glorify the violence, sadness, and ultimate indignity of the event -- or the opposite? Compare it to the scene where Hemingway must put down his favorite horse, Old Kite (224). How does this description differ from his descriptions of hunting? 9) Does Mary appreciate how much danger she puts everyone in every day so that she can kill the lion? Why is she so melancholy after she accomplishes her goal? Is she truly disappointed in the way the hunt played out, or is she experiencing a predictable emotional letdown? Does she feel guilty for killing something so beautiful, or feel a true sadness at its destruction? 10) Hemingway laments throughout the narrative that Debba is "losing her impudence." What does he mean by this? Are the changes in Debba a result of her relationship with Hemingway? If Debba is a symbol of Hemingway's desire to truly be a part of Africa, then do the changes in Debba symbolize the changes outsiders like Hemingway are bringing to the land? 11) Debba and Mary are two starkly different women from different worlds. Compare Mary's Nairobi shopping excursion with Debba's shopping trip with Hemingway. What does each trip mean to each woman? How does their individual behavior and attitude express their inherent differences as people? How does Hemingway's love for Debba differ from his love for Mary? Is it possible to be in love with two people at once? 12) While reading True at First Light, it is difficult to know when Hemingway is telling the truth, and when he has fictionalized his story. By altering details and creating new stories, is he proving that writers have the power the blur the line between what is real and what is imaginary -- and sometimes even rewrite history? 13) How does Hemingway use humor to get his point across in True at First Light? Was this book funnier than you expected it to be? How much of it is a parody of Hemingway himself? 14) Discuss Hemingways' choice to be in Kenya at this particular time, given the dangerous political situation. Did the looming danger in the region make the trip more exciting for them? Can you recall any scene where Hemingway himself displays violent tendencies? Does he ever exhibit the mercenary behavior plaguing the region at this time? 15) The Hemingways are in no hurry to leave Africa and go back to their "real world." What are they trying to escape? Is Hemingway hiding from his celebrity, which is mentioned only rarely by those in his hunting group? Both Mary and Hemingway say they wish they could stay in Africa forever. What's stopping them from doing just that? 16) Discuss how Hemingway's new "religion" scorns the organized religions of the world and the Christian missionaries at work in Africa. What are the requirements of his self-made faith? When asked to describe it, Hemingway says "we retain the best of various other sects and tribal law and customs. But we weld them into a whole that all can believe." How is this different from the organized religions he rejects? David Gates Newsweek A major literary event...a new window into the tantalizing, unsettling, oceanic world of his experimental, unfinished late work. Alan Ryan Atlanta Journal-Constitution Belongs on the top of the must-read pile for anyone who loves Hemingway. John Balzar Los Angeles Times First Light is sprinkled with the prose high notes that made Hemingway famous. Corey Mesler The Commercial Appeal There is a feeling of real joy in this book...A celebration of living... the prose of a master.